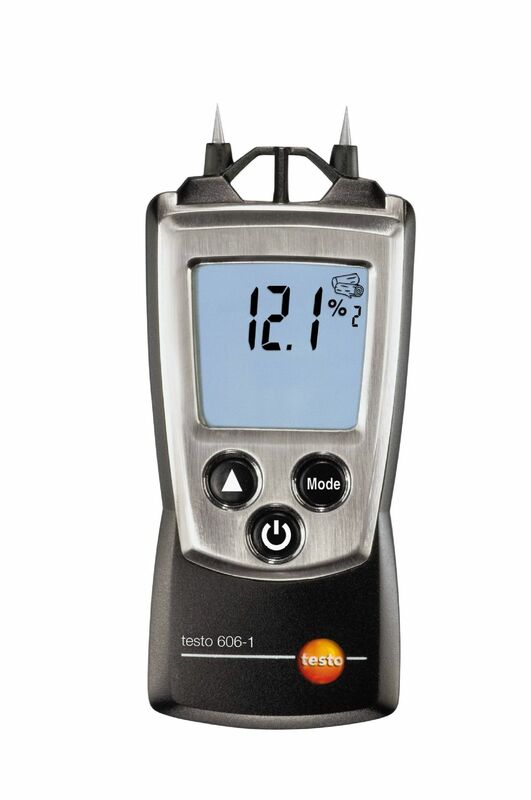 The testo 606-1 is a compact moisture meter that meaures the moisture content in wood, walls and other surfaces and materials and fits snugly in any pocket. Ideal not only for professionals, but also private users who appreciate the precision which such a professional tool has to offer. Precise moisture measurements in wood, cement, screed etc. 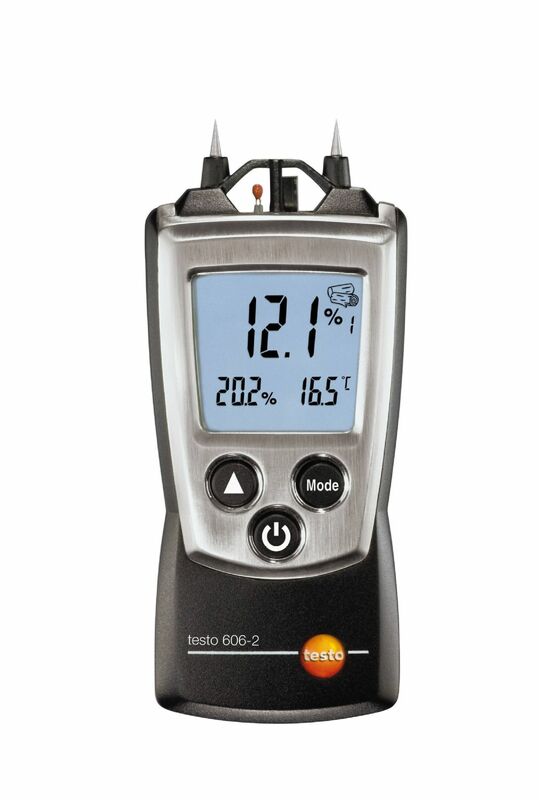 The testo 606-2 moisture meter allows you to measure the moisture content in wood and building materials – and the surrounding environment too. This means that you are now also able to check storage and drying conditions quickly and easily.